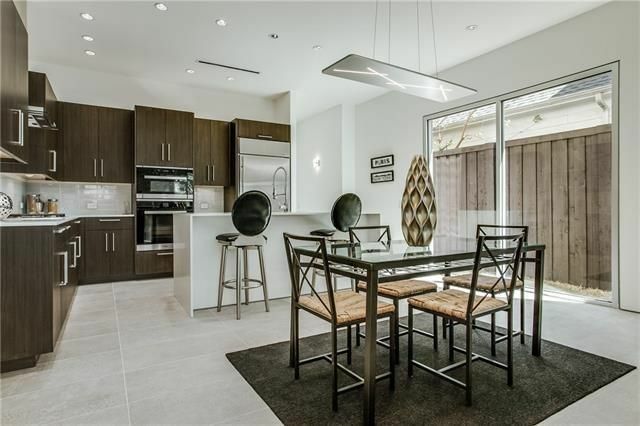 Open house: Sunday, April 10, 2-4 p.m.
Knox-Henderson is one of the vibrant urban neighborhoods in Dallas, and the new-build at 2835 Lee St. offers a contemporary, eco-friendly home in the middle of the action. It’s a 2-2 with a half bathroom, study, and 2,470 square feet on two stories, built in 2015. 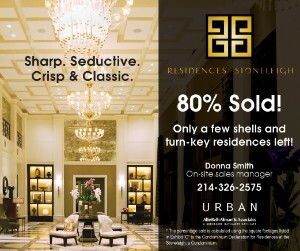 This home offers clean lines, high quality, and attention to detail. Natural light is one of its best selling features—both stories are positively flooded with it from floor-to-ceiling windows. 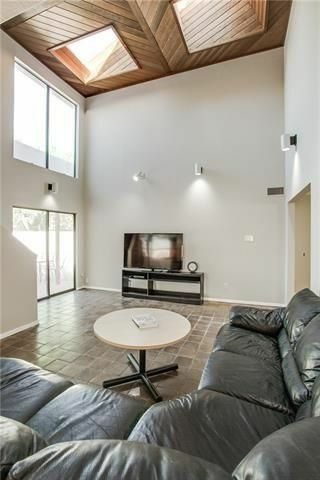 The open concept floorplan has the kitchen, dining room, and living room as one large room. At the far end from the kitchen, there’s a stone wall, contemporary gas flame fireplace, and huge windows and door to the tidy backyard. 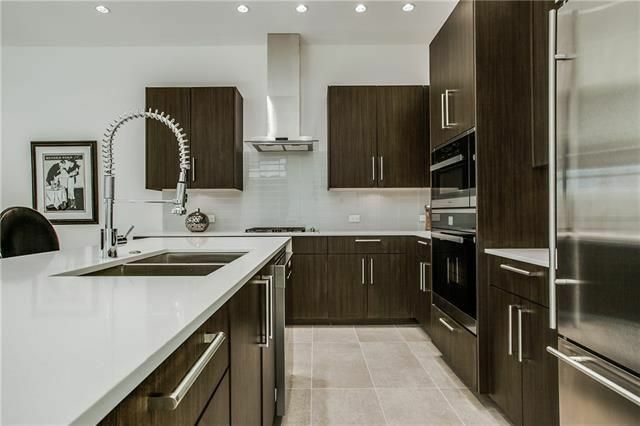 The kitchen includes Miele stainless steel appliances and a large island perfect for entertaining. 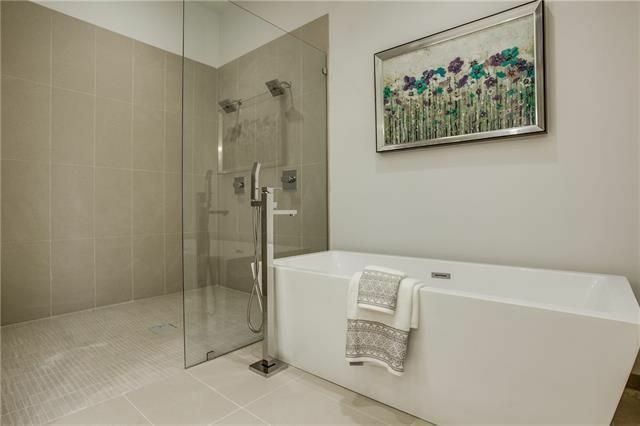 The master suite is a thing to behold, with a serene ensuite bathroom with frameless glass shower, dual shower heads, huge soaker tub, European flat-front cabinetry, and separate sinks. It is listed by Jarrad Barnes with Dave Perry-Miller Real Estate for $725,000. Open house: Sunday, April 10, 1-3 p.m. 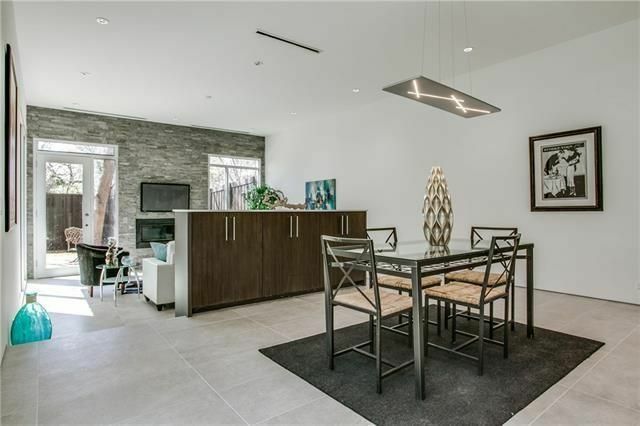 The large Lake Highlands contemporary at 8709 Vista View Dr. near Greenville Avenue and Royal Lane is a 4-4 with three additional half baths (!!!) and 4,025 square feet, built in 1980. 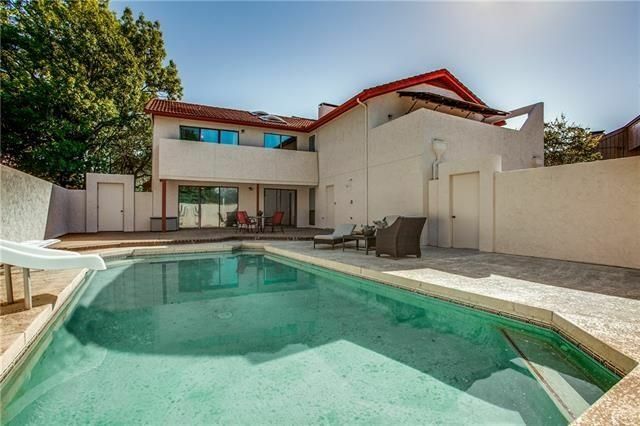 This home has three large living areas on first floor—one opens to the secluded backyard pool. 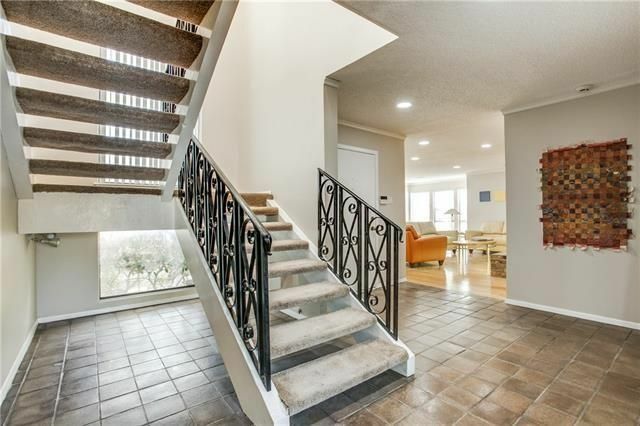 A large master upstairs has an extra sitting area, and the home has two balconies. One bedroom has rock climbing wall, great for kids. 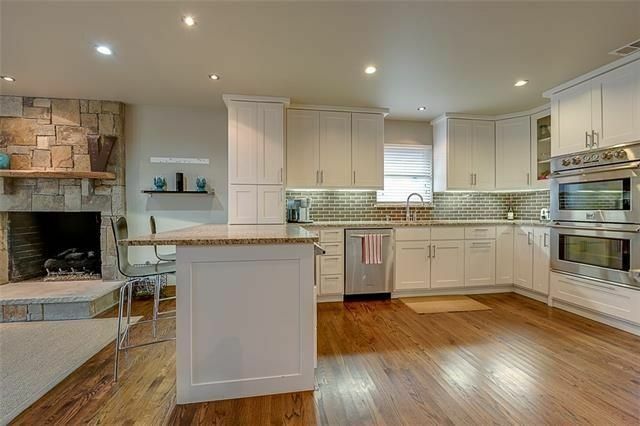 The kitchen with bar-height counters opens to the dining and living areas with a large pantry. 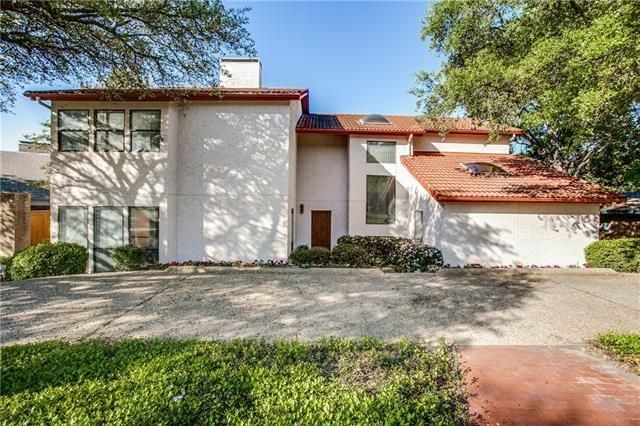 This home is zoned for Richardson ISD schools with easy access to 75 and 635. It is listed by Rob Schrickel with Ebby Halliday Realtors for $700,000. Open house: Sunday, April 10, 1:30-3 p.m. 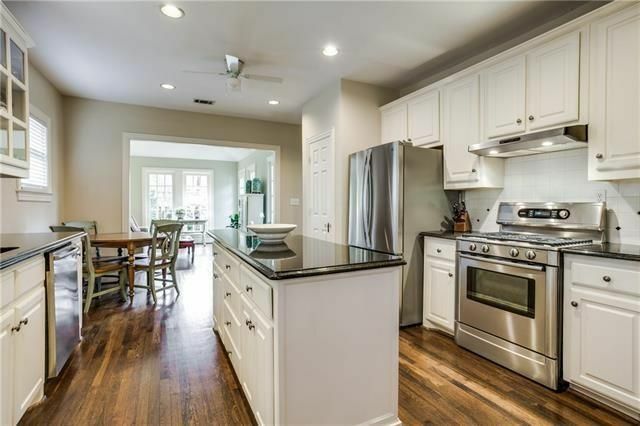 The owners have done an excellent job of marrying vintage charms with modern amenities: the updated kitchen maintains the character of the original home while featuring stainless steel appliances, on-trend white cabinets, granite counters, and a large island. 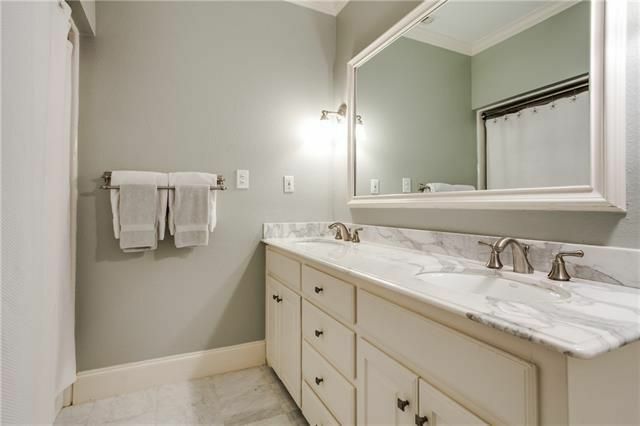 The master has a spa-like bath and sizable walk-in closet, a big plus. 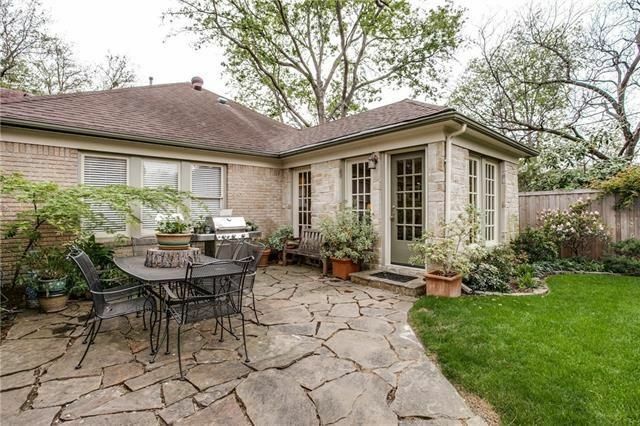 Out back, the landscaped yard has mature trees and a flagstone patio for outdoor dining or entertaining. The one-car garage with storage room could easily be converted into a two-car garage. 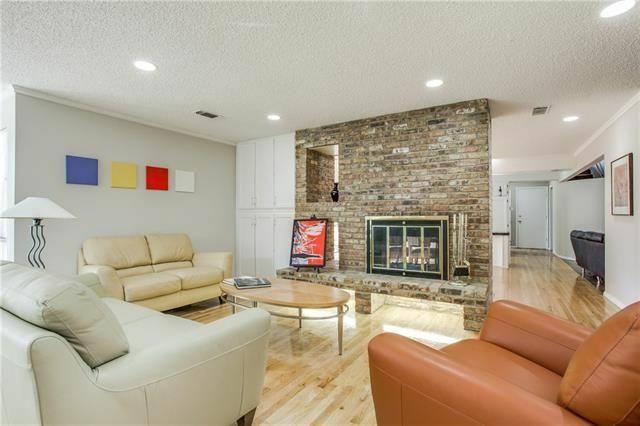 This home was listed this week by The Jackson Team at Dave Perry-Miller Real Estate for $519,000. 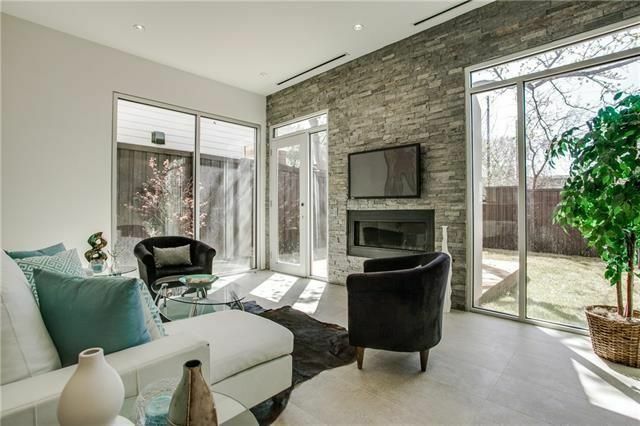 Open house: Saturday, April 9, 12-2 p.m.
Rustic soft contemporary is so very on trend right now, and the house at 4180 Willow Grove Rd. is a style showcase for it. 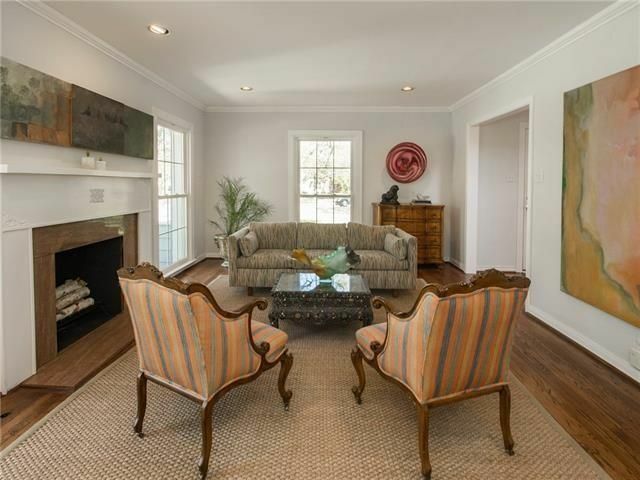 This is a 3-2 with 2,086 square feet, built in 1954 and updated to look chic. 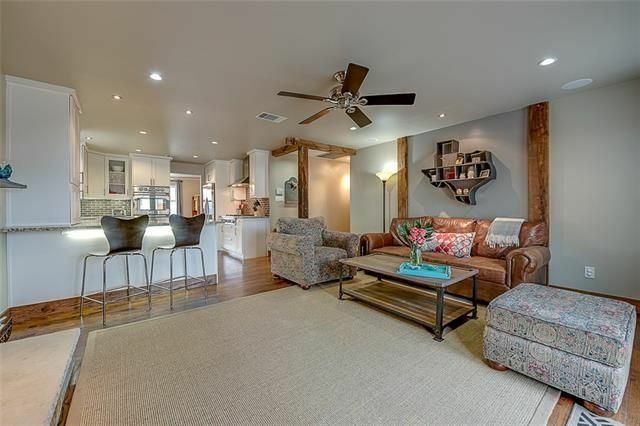 Its “barnitecture” accents include hardwood floors, hewn wood beams, and wood siding accents inside and out. This is married tastefully with contemporary elements like a luxe kitchen with white cabinets and light-colored granite. 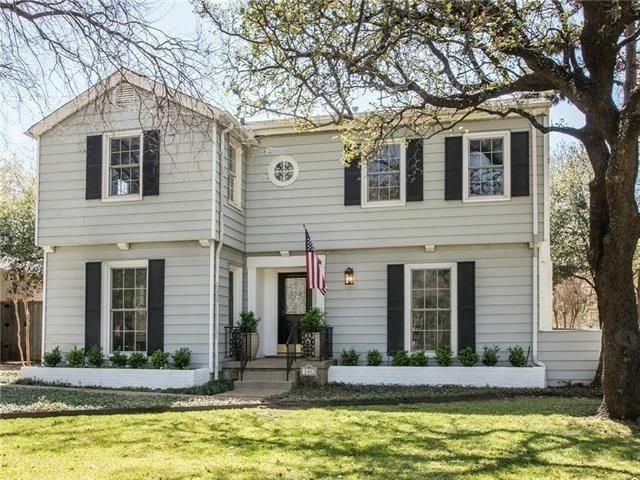 This home is move-in ready and completely remodeled, located in the heart of Midway Hollow. 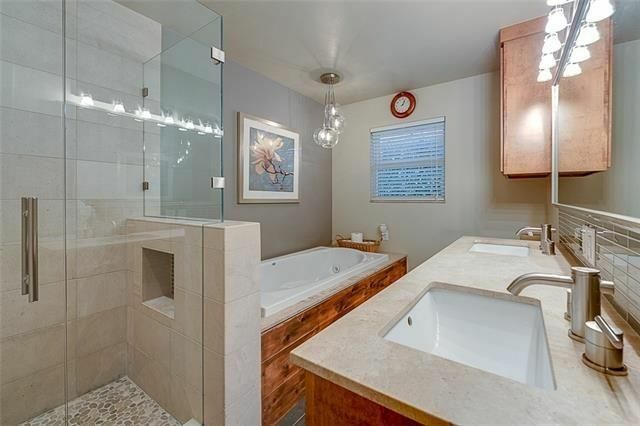 It offers an oversized master suite with a decidedly spa-like bathroom. The backyard has a wood deck and fire pit, and the roof was replaced in 2012. 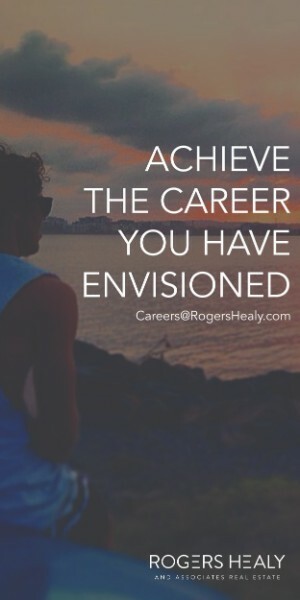 It is located near Walnut Hill Lane and Midway Road, and is listed by Catherine Blevens with Rogers Healy and Associates for $530,000. Open house: Sunday, April 10, 3-5 p.m. The Greenway Park Traditional at 5402 W. University Blvd. 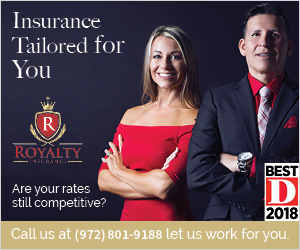 is truly lovely, with updates throughout and tremendous personality. 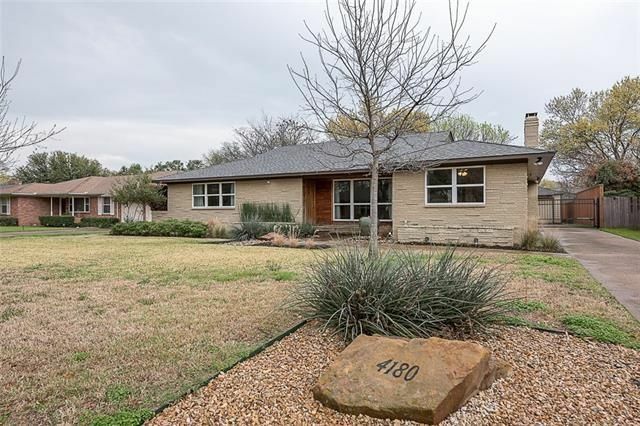 This is a 4-3 with an additional half bath and 3,061 square feet, built in 1955. 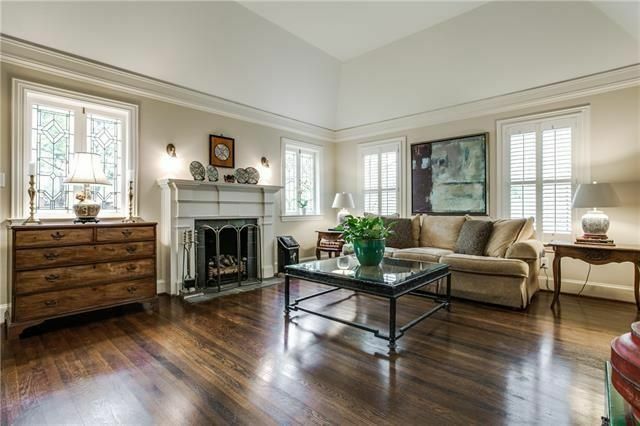 The floorplan flows easily from one gracious area to the next, with crown moldings, recessed lights, new windows, and original hardwood floors. 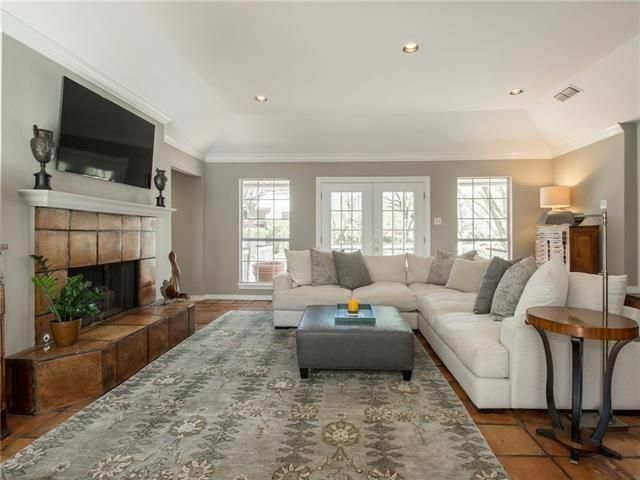 The house has a center hall plan with a generous family room (gas log fireplace), as well as a wood-burning fireplace in the formal living room flanked by floor-to-ceiling windows. Throughout the home, you’ll find many six-panel doors with crystal doorknobs—so quaint. 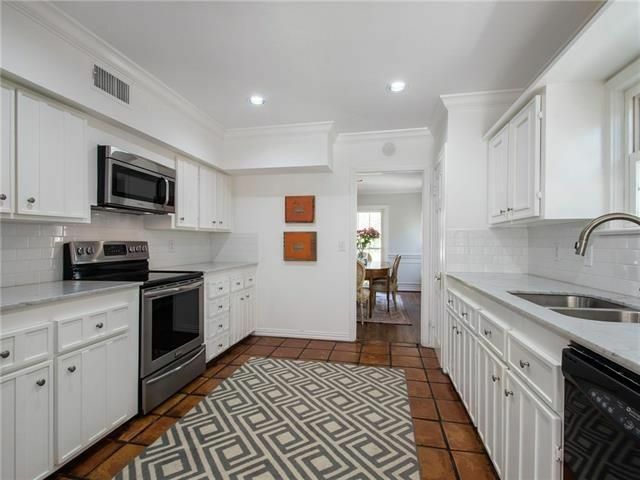 The renovated and modern kitchen offers subway tile, white cabinetry, granite counters, and stainless steel appliances. 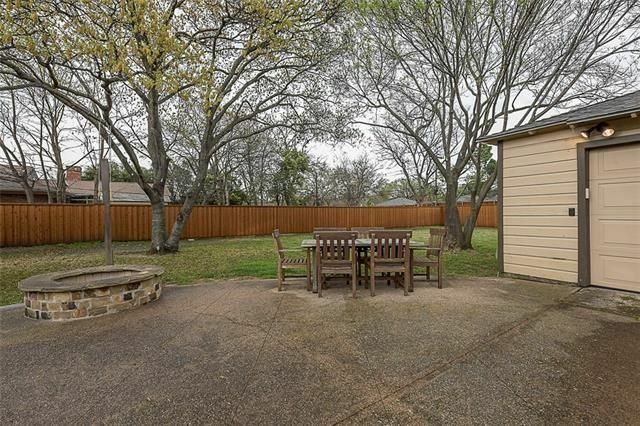 Out back, a lovely swimming pool and patio area make for great entertaining options. 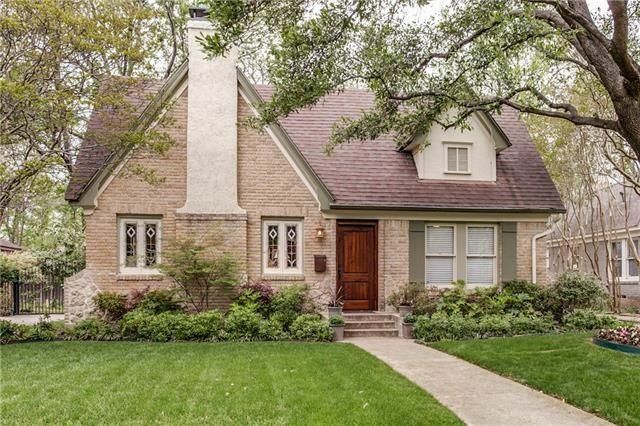 It is listed by Kate Mote with Briggs Freeman Sotheby’s International Realty for $769,000, a $106K reduction off the original list price. This open house roundup is a weekly feature at CandysDirt. Let us know if you visit these properties and what you think of them. 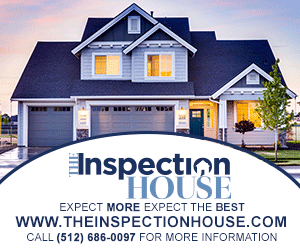 If you have an open house to tell us about, email Leah Shafer here.